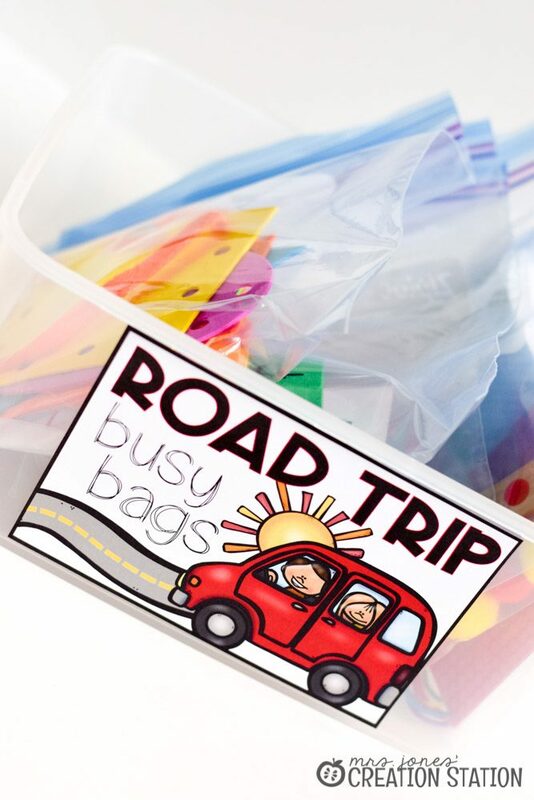 Busy bags are a great way to give your little ones something to do while on the road, in the classroom, during rest time, at church…the list honestly goes on and on. 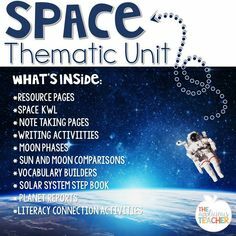 Better yet, there are so many busy bags that will keep them engaged and learning at the same time. 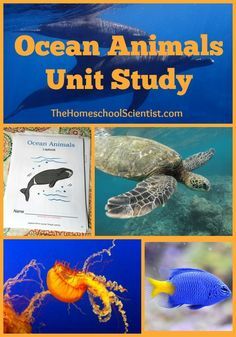 Since we have a travel trailer we are on the road a lot with our little ones. 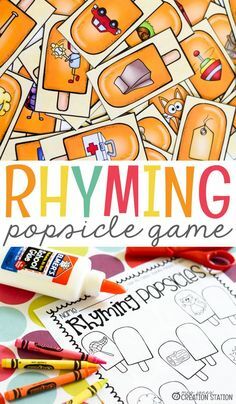 Whether we are going on a quick camping trip or all the way to Disney World, we have to be prepared for kiddos that want to be entertained. 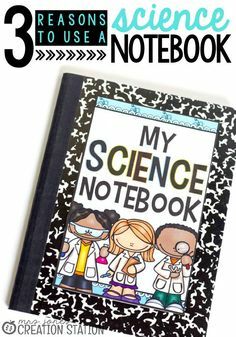 I usually pack goodies for our trip a couple days in advance with the help of my kids. 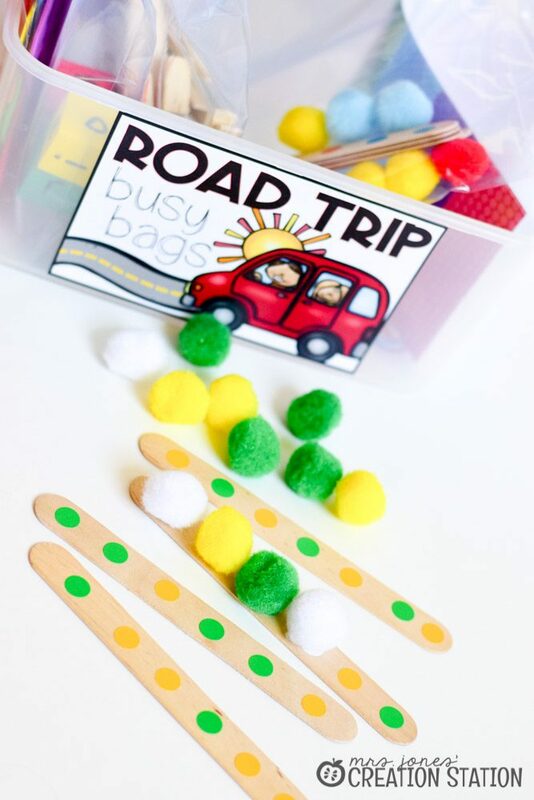 Snacks, movies, blankets, pillows and games are must-haves for the road. 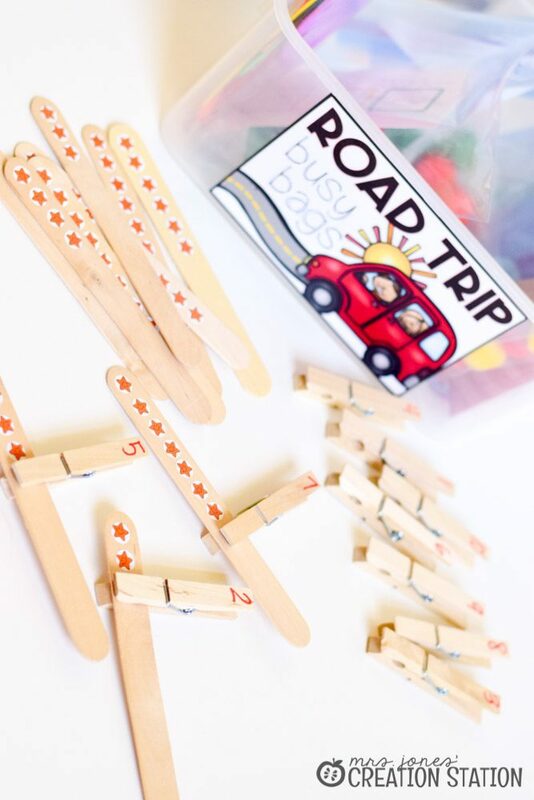 I create a tub of activities and games for the kids to pick through while we are on the road. 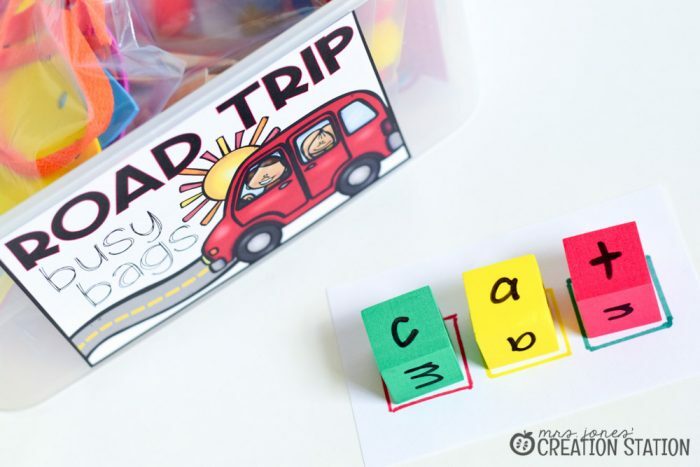 I like to have a place for all the mess to stay so we don’t have crayons and game pieces all over the car when we reach our destination. 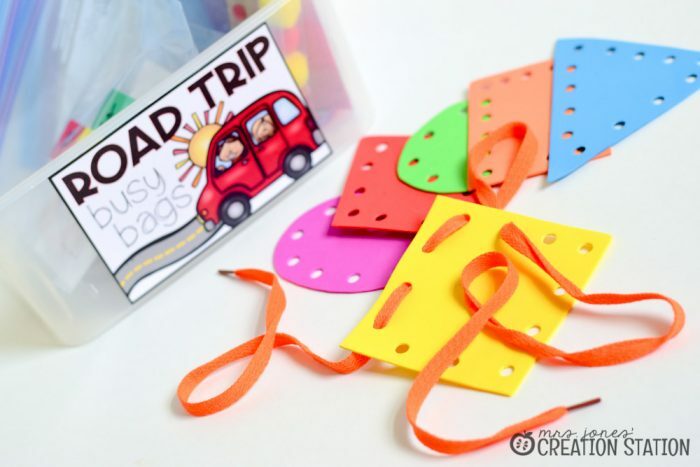 Some of our favorite activities in the car are road trip busy bags. 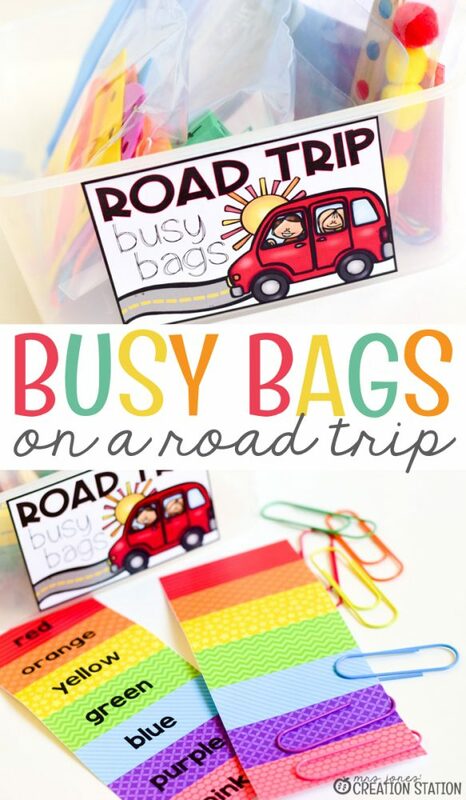 We love using busy bags at home, church, nap time (for the bigger kids) and definitely road trips. 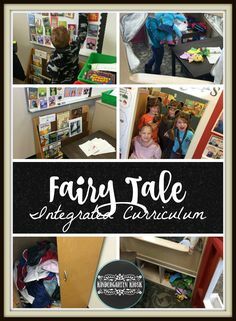 I try to provide a variety of bags for the kiddos so they don’t get bored with the same activity. I also make sure to keep the smaller pieces at home when we are traveling. 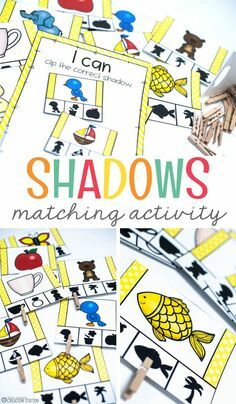 It can be a challenge to come up with different activities to put in busy bags. Searching on Pinterest for hours and hours is way too much trouble for me. 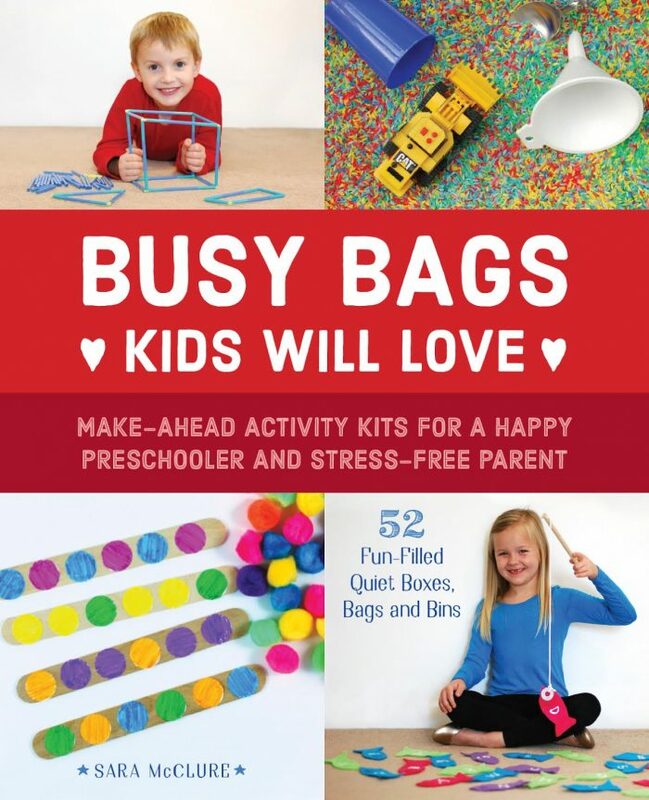 I used the book Busy Bags Kids Will Love from Happy Brown House to help me get our busy bags set up this time around. 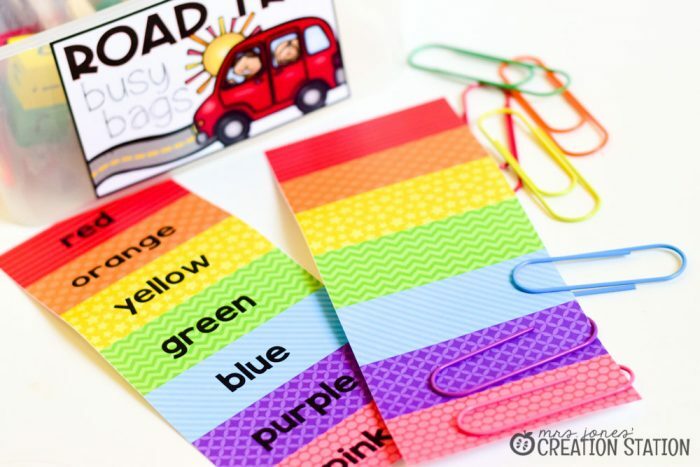 Busy Bags Kids Will Love has 52 activity ideas ready to go for your kiddos. I grabbed the book, marked a few of the activities I wanted for this trip, ordered the materials and got the bags put together super fast! 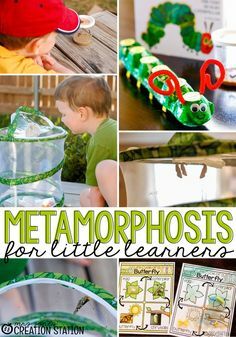 The activities in this book are so simple and easy to make, and great for little learners. 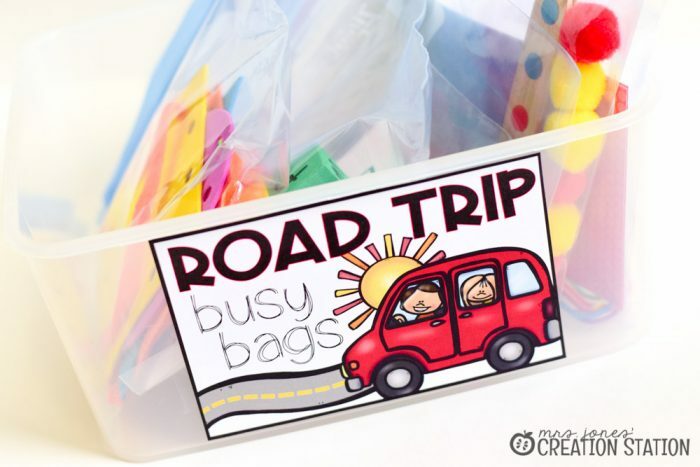 I also made a road trip tub sign and printable to go along with one of the activities that you can grab by clicking the download image at the bottom of this post. What’s the best part? Sara from Happy Brown House is letting me give one of these books away to my readers! Woohoo! 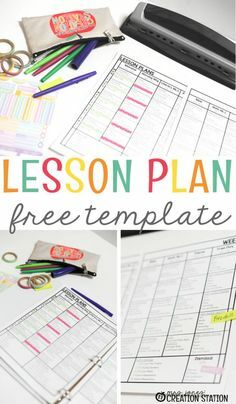 All you have to do is sign up at the bottom of this post! 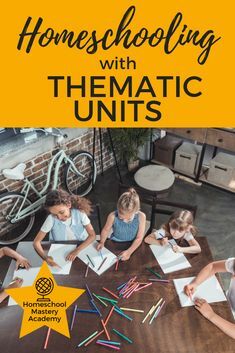 Even better, if you purchase the book send your receipts to sara[at]happybrownhouse.com and she will send you a free printable to go with the activity on page 17 (if you want a free math goodie…don’t forget)! You can find her book at: Amazon , Barnes & Noble, Books-a-Million and Indiebound!